It is a common dream of all youngsters to own a sports car. But it is almost impossible for a middle class Indian man. Yet, this desire always remains as a dream. Even the used cars come to the sale at a starting rate of 60-70 lakhs. Seeing this Mr. Jagjit Singh, a Delhi automobile businessman has remodeled Maruti 800 to a marvelous sports car. Marutii 800 was the most used cars of 90’s.It was widely used by common people to rich business people. This indeed left a great impact on Indian roads after its production was stopped. People desired to have Maruti 800, in a convertible manner. These remodeled cars have a great demand in Indian markets. 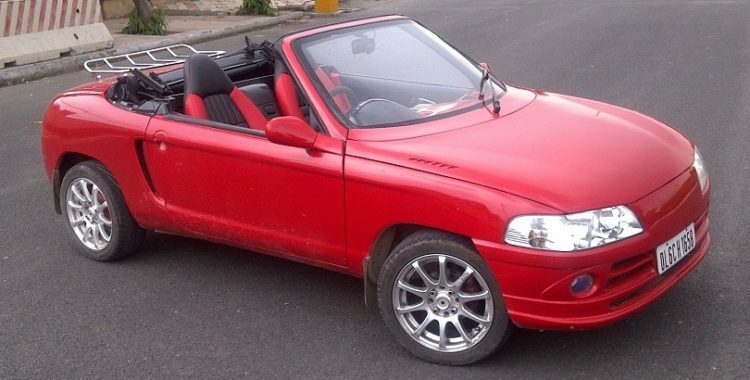 Alteration of the old cars by modifying its parts and accessories and bringing a new model of it are convertible cars. 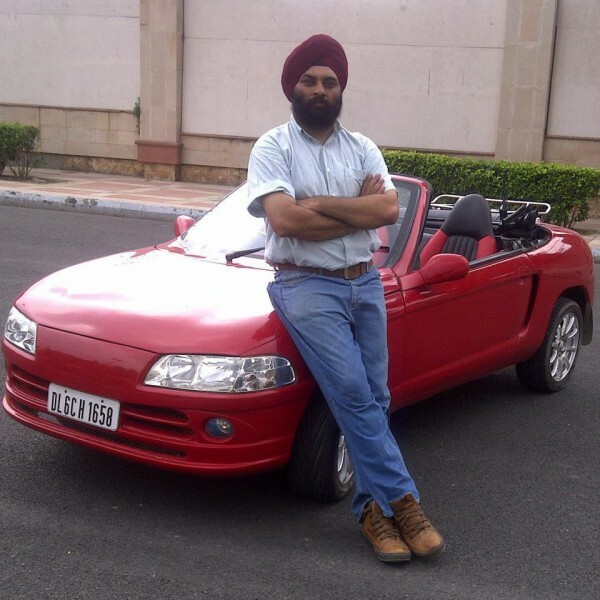 Mr. Jagjit Singh is an engineer who works on modification of cars. His most remarkable work is the modified Maruti 800 which has a stunning outlook. He has taken whole 3 years to modify this car. This car on first look seems like a Benz or Ferrari. The car looks dashing with all final touches. The headlamps have been replaced by Fiat Palio units. The front bumper, bonnet as well as the A-pillars and windscreen are all new. The two doors are replaced by a stylish, albeit faux air vent and creases that completely redefine the whole car. The backlights are replaced with Chevrolet Spark lights. There are new vents, gear knob, sporty seats, a hi-field steering wheel and an entertainment system with an LCD. 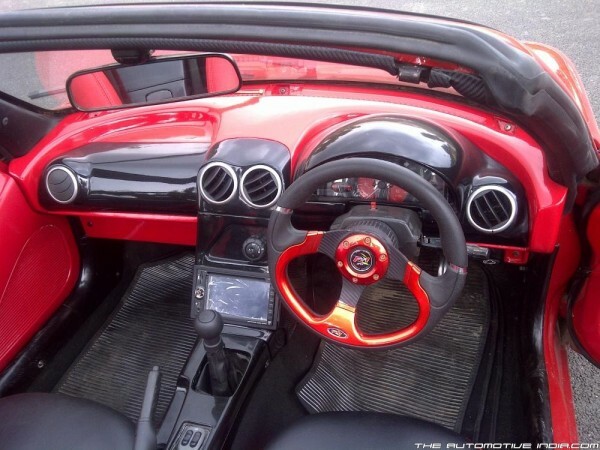 On the whole the metallic Red gives the car a grand finish. “So far, none of my works have had breathtaking designs, but have been according to the requirements of my clients. Now, all I want to do is to make something on my own, which can compete with an international brand. 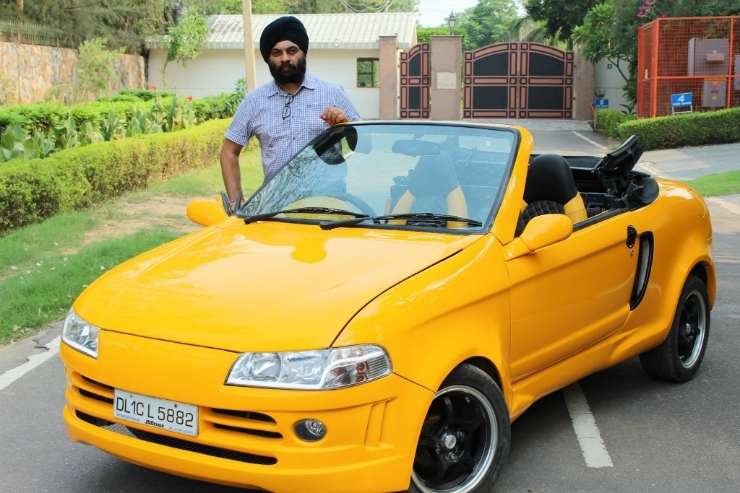 I am trying to make this car hybrid so that one can easily cover 100-125 km in very less cost,” Jagjit Singh has said this in an interview. He conducts internships to students and also works on remodeling process. On spending extra 3.5 lakhs he can make these changes to Maruti 800. With much more advances he has also modified another model in Yellow color.